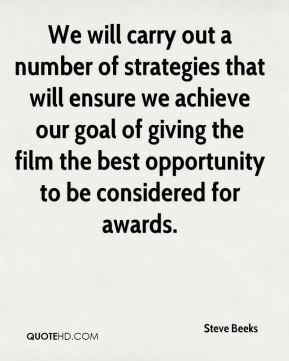 We will carry out a number of strategies that will ensure we achieve our goal of giving the film the best opportunity to be considered for awards. 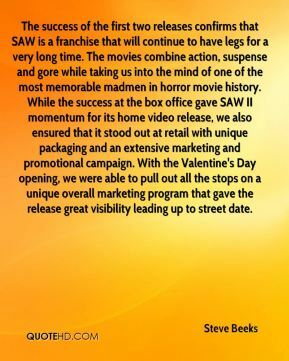 This is another significant step in monetizing our non-core assets and further sharpening our focus on our core content creation and distribution businesses and library in a digital marketplace. 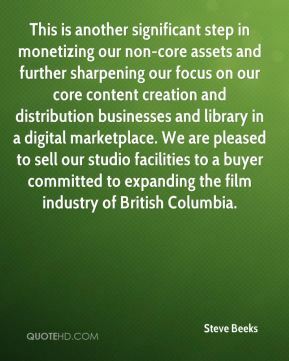 We are pleased to sell our studio facilities to a buyer committed to expanding the film industry of British Columbia.